Holiday Musical Moments Contest - Win an Epiphone Guitar! 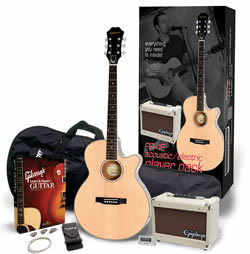 We are running an exciting holiday contest on our Guitar Student Support Forum. Our forum is a hugely supportive and encouraging place for our students to interact with other students and instructors. Ask questions, answer questions, create a blog to track progress, and learn about playing the guitar. 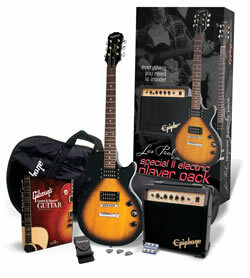 An Epiphone Guitar Player Pack! So, how do you enter? All you have to do is reply to THIS CONTEST THREAD on our forum with a Holiday Musical Moment of your own. Share with us your holiday story that includes music. It's really that simple! Once you post a story, you're eligible. Oh, and be sure to read our terms & conditions. The contest ends on Dec. 15, 2010 at noon, CST.